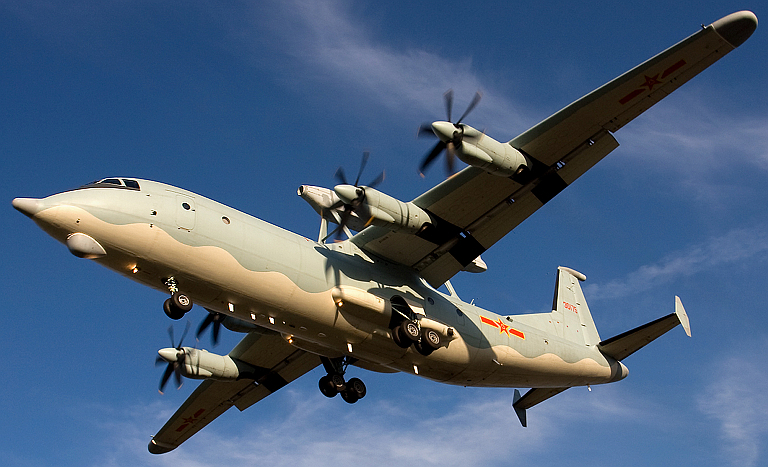 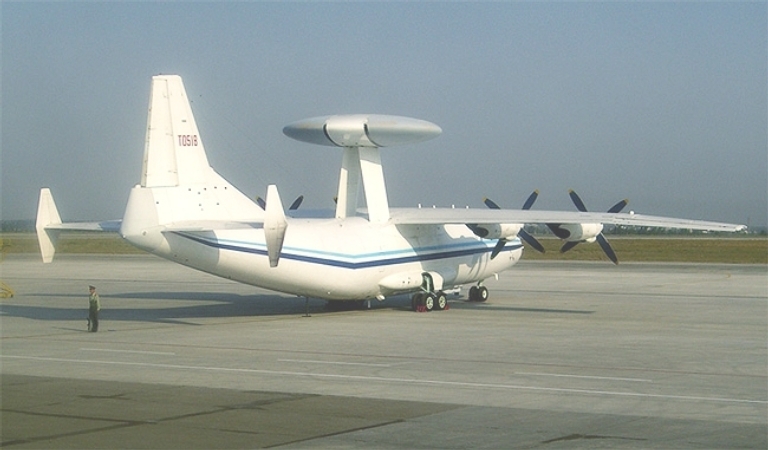 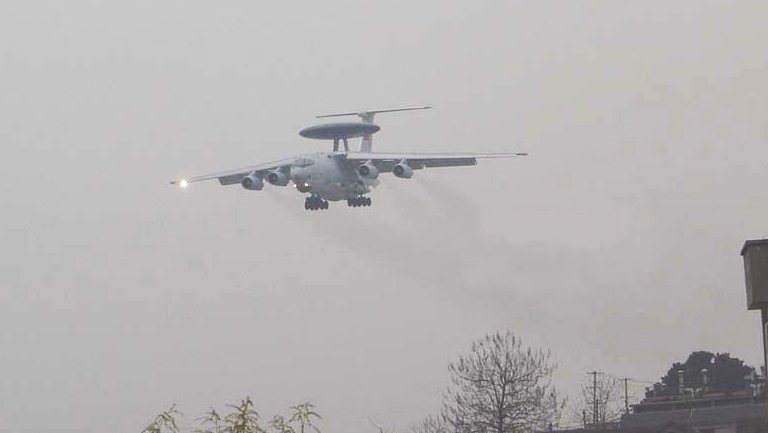 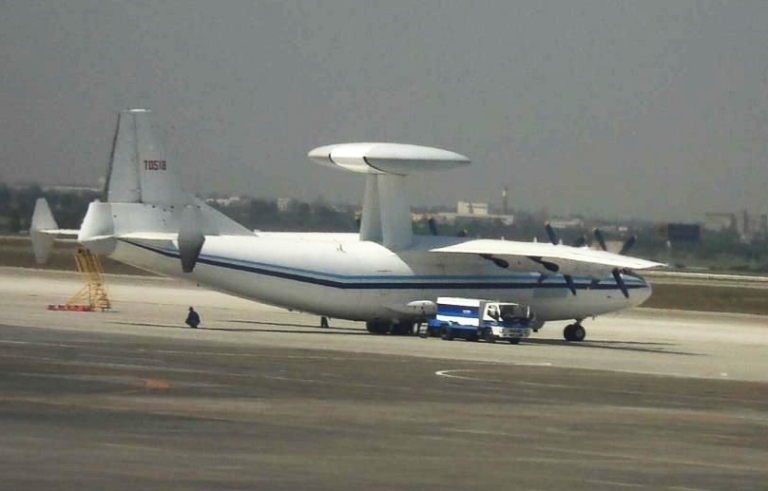 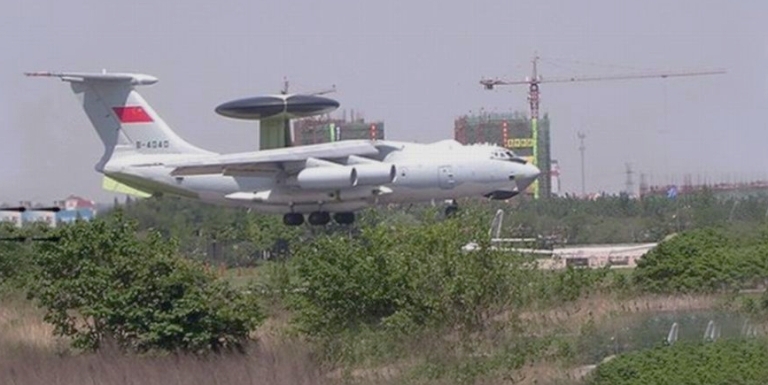 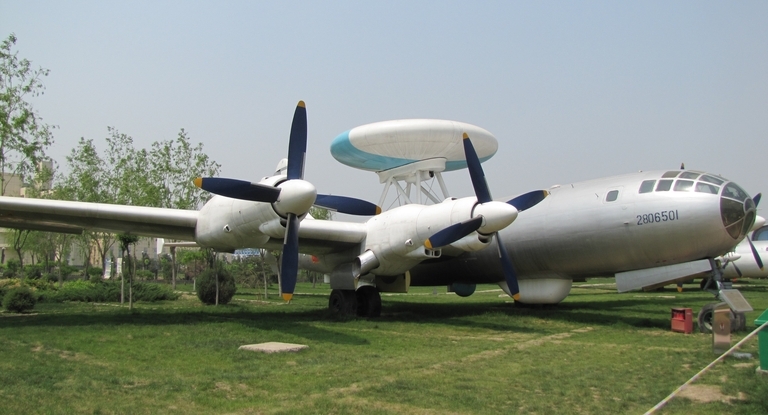 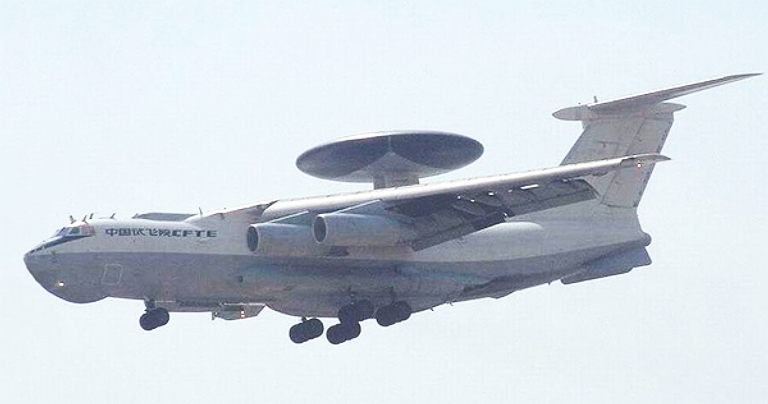 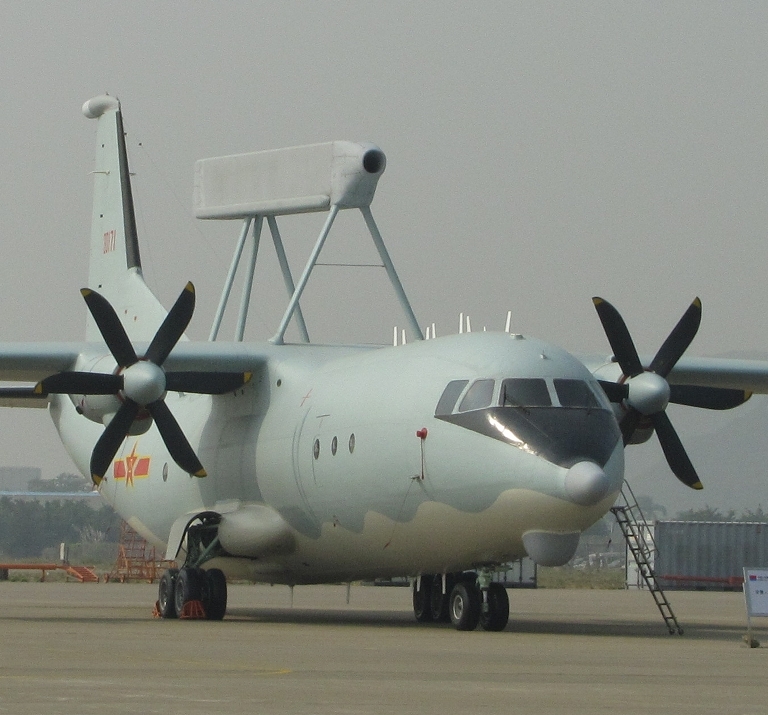 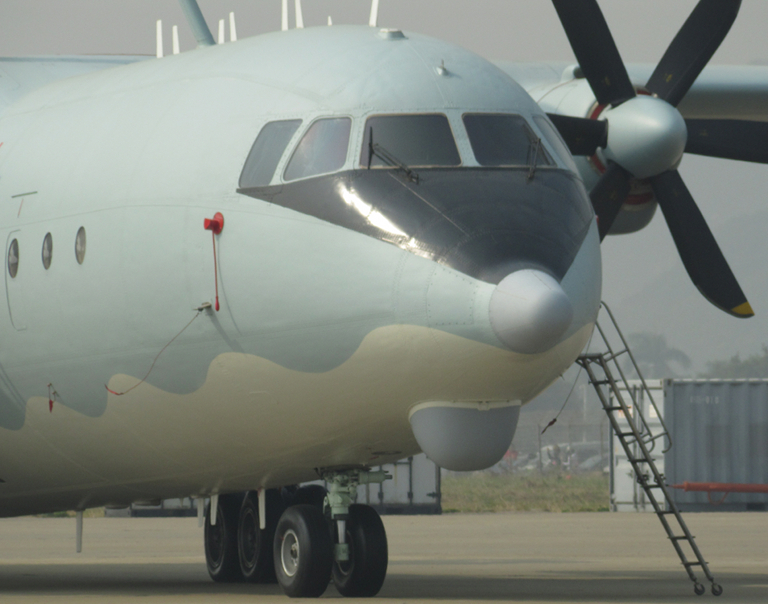 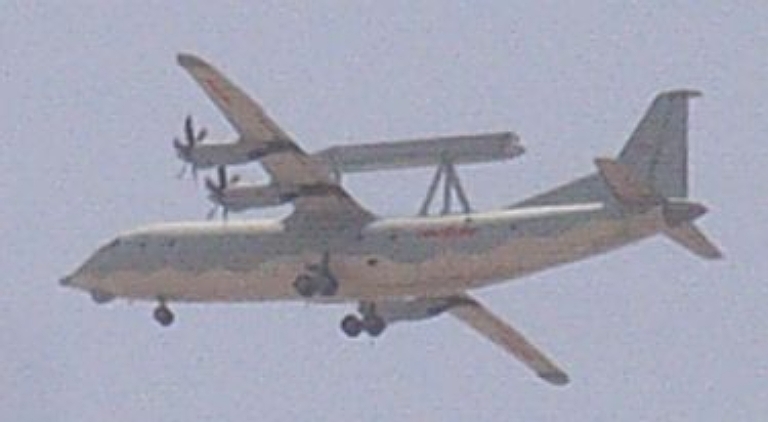 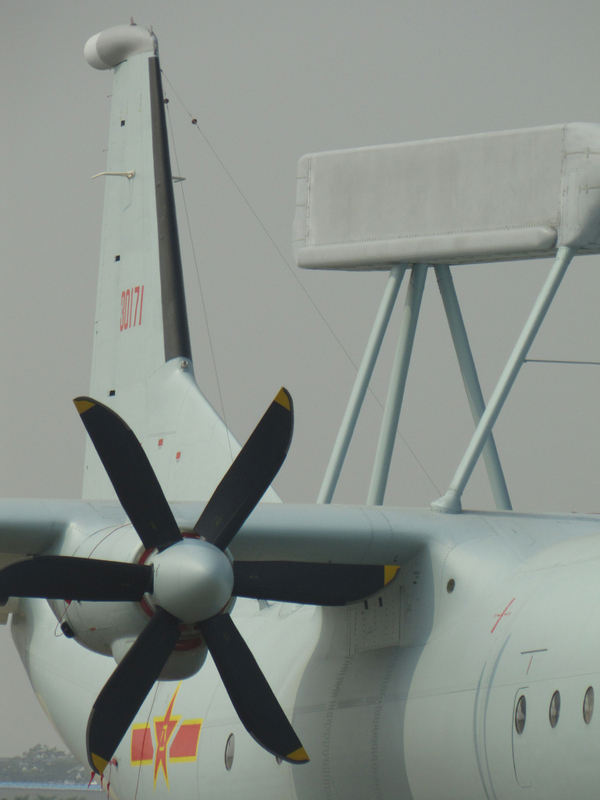 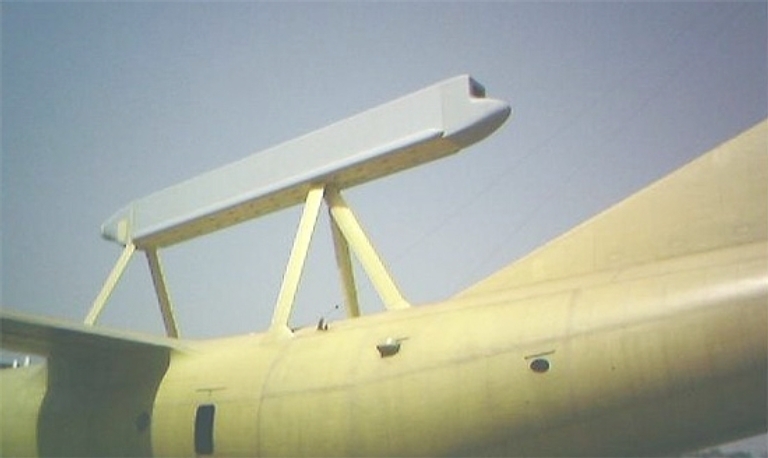 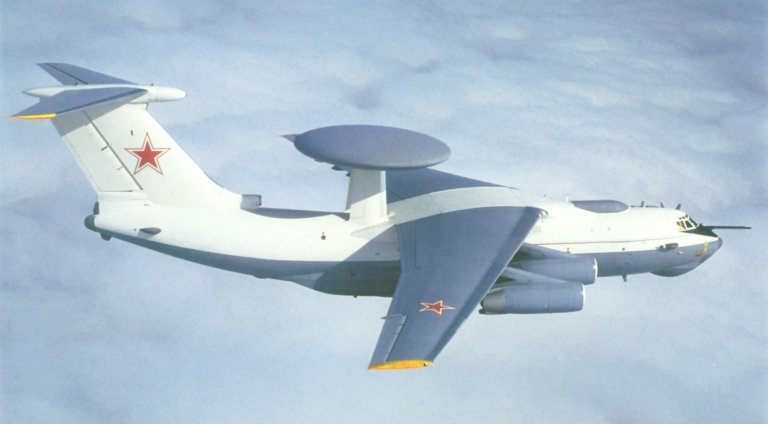 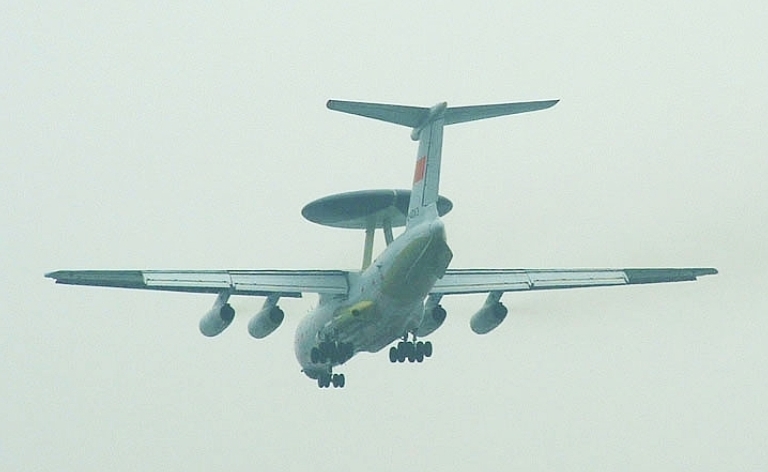 An early production KJ-2000 Airborne Early Warning and Control system on short finals. 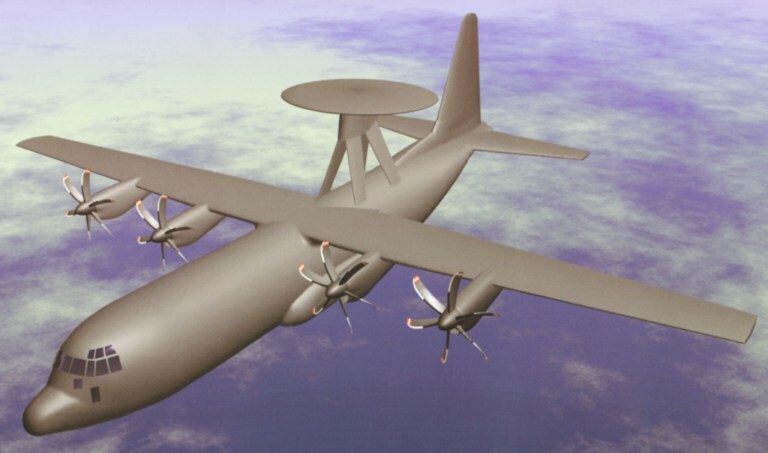 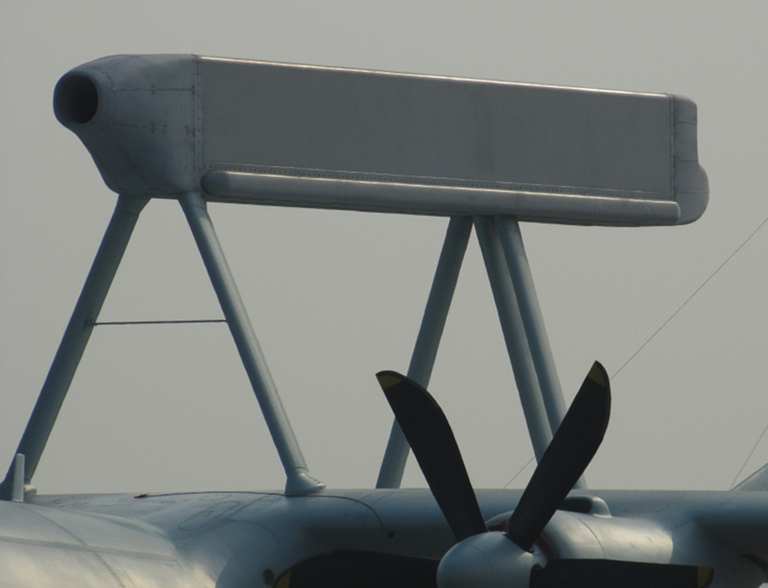 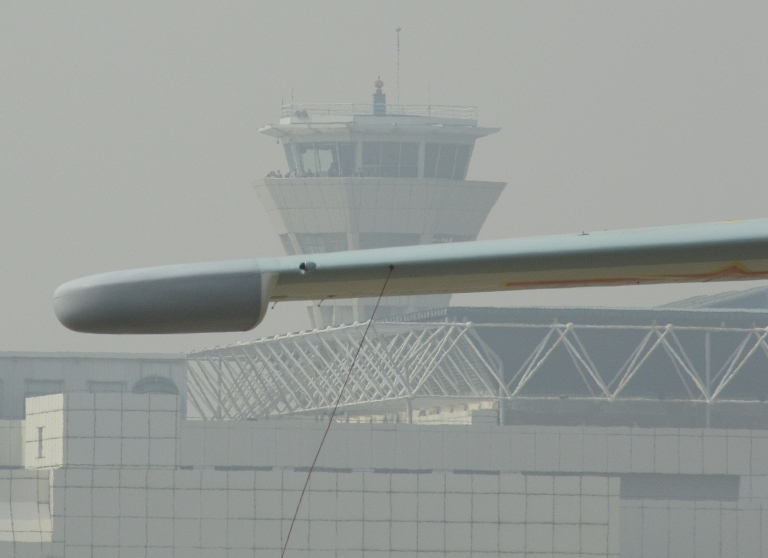 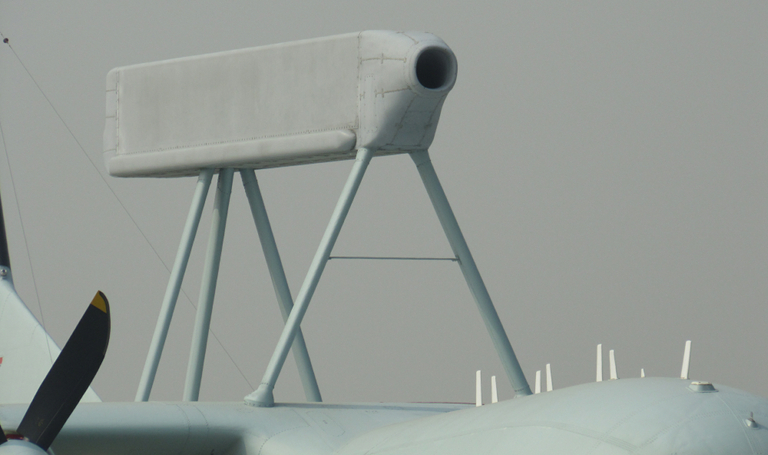 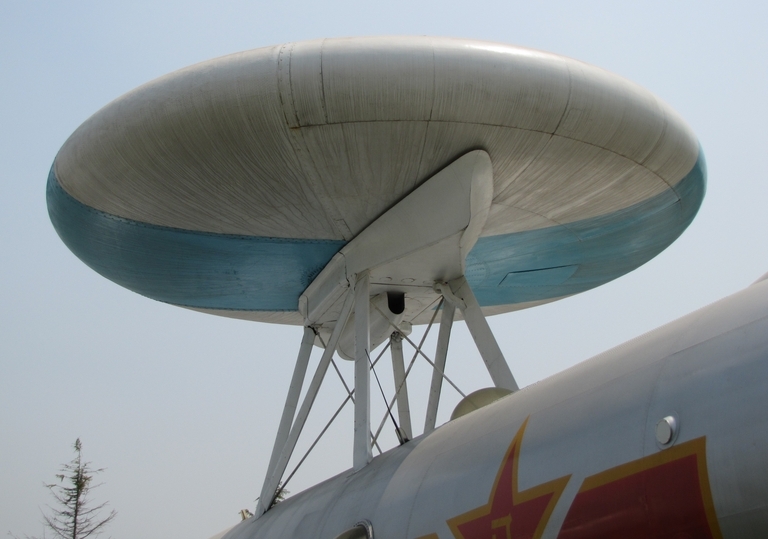 The dielectric panels on the dorsal radome indicate this is a three sided phased array, probably operating in the L-band and influenced by the design of the Israeli Elta Phalcon system (image © 2009, Zhenguan Studio). 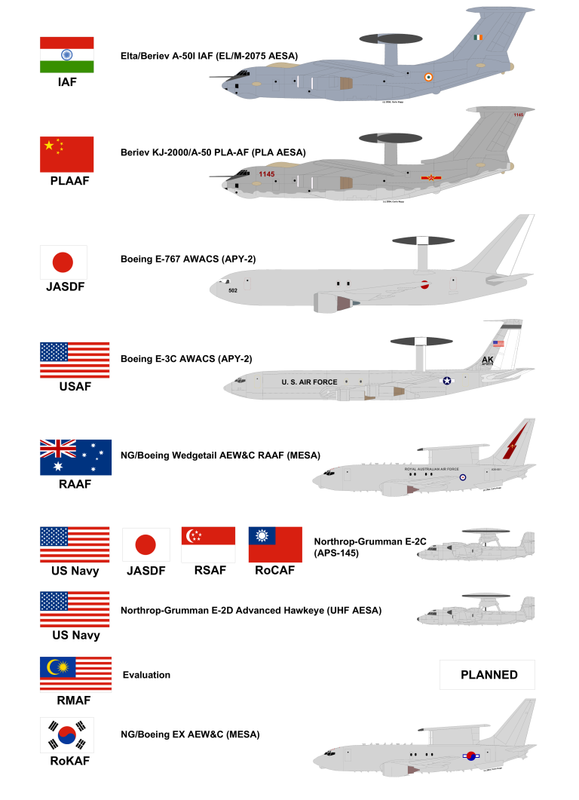 Imagery Sources: Zhenguan Studio; Xinhua; MilitaryPhotos.net; other Internet sources.